Paradise, Idaho, may not be the largest town, but for newly minted professor Zoe Santangelo, it’s the first step on the path to her big break. After teaching in a small Idaho school, her next stop is the Ivy League, and no one is going to stand in her way. 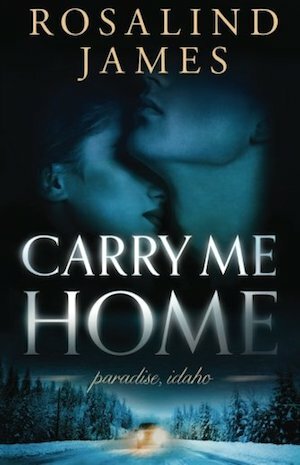 She’ll do what it takes to move up, to protect her students from a creepy campus stalker—and to protect her heart from Cal Jackson, the hot, hunky cowboy who keeps coming to her rescue. After a career-ending injury, Cal has left professional football behind and come home to work the family farm. He’s determined not to get mixed up with any more city girls who don’t want to settle down with a country boy. But after he rescues sassy geologist Zoe from a snowy ditch, he can’t stop thinking about her. Can Cal keep Zoe safe from whoever is targeting her—and can he show her that having ambition doesn’t mean she has to sacrifice love? Here’s the theme song. Hope you like your guys big and tough, because that’s what I’ve got for you. And here’s the other theme song, for the end of the book. This song always makes me cry. This is Cal’s soft side, the side he keeps hidden, but that Zoe brings out in him, and how I love that.